ArtPrize helps more than 500,000 visitors experience 1,400 works of art during a 3-week celebration in downtown Grand Rapids. 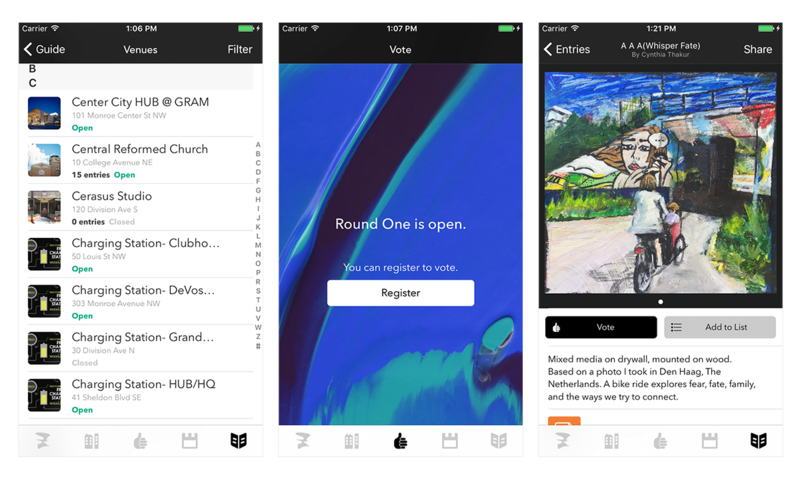 For ArtPrize 2017, Atomic completely revamped the app’s registration workflow, decreasing the dropout rate and improving the user experience. ArtPrize awards $500,000 in prizes to works of art selected by public vote and expert jury during a massive 19-day event. This requires a great deal of logistics, including mobile apps for 60,000 event-goers. 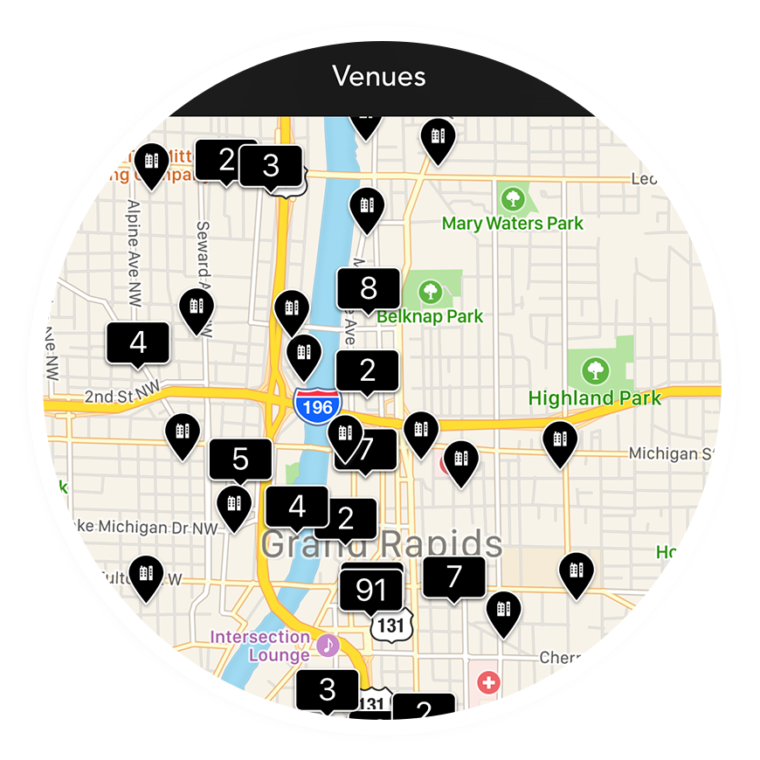 The ArtPrize app helps visitors find 170+ venues in the 3-square-mile ArtPrize district and vote for their favorite entries in real time. Atomic works with ArtPrize to update and improve their mobile app each year. In past years, users could only register after they arrived in the ArtPrize district. This was difficult because the cell network is often overloaded during the event. For 2017, the team designed a new registration process. Users can now create an account and confirm their identity at any time. The final step of registration happens automatically when they enter the ArtPrize district during the event. In 2016, Atomic overhauled the app’s voting system. Many ArtPrize venues have poor cell reception, especially when thousands of voters are competing for bandwidth. To solve this, the app stores votes until the user’s phone gets an internet connection. In past years, data syncing was buggy and would sometimes return errors, delay voting, or display votes incorrectly. It also had trouble syncing votes cast using different methods. Atomic restructured the entire voting infrastructure — creating a simpler, more reliable system. Thanks to the new approach, votes cast via the mobile app rose from 65% of all votes in 2015 to 75% in 2016. In 2015, the Atomic team re-engineered the ArtPrize app code base, fixing persistent stability issues and adding geofencing, dynamic updating, and integrated navigation. Atomic provided Android app development and iOS app development for the ArtPrize 2017 mobile apps. Conduit Studio provided visual design and information architecture on the project.